This might be my favorite shot from White Pocket. 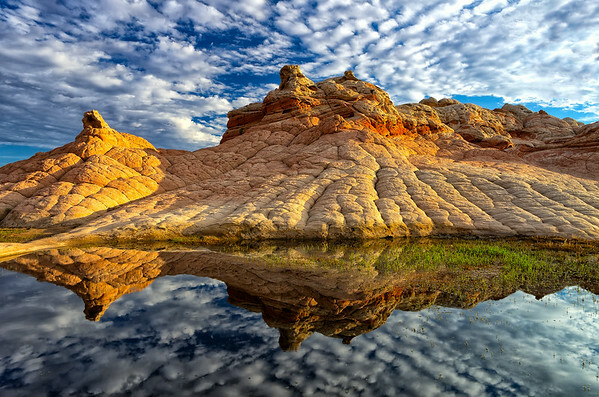 I was lucky to find three pools of water in the area, two of which made for some very nice reflection shots…and a nice way for my dogs to cool off in the desert heat! ;) I loved how on this morning the clouds did that pillowy thing almost mimicking the pillowed shape of the stone. It was a lovely morning wandering about this amazing place without another soul around.